﻿Live in Stamford? Have Carpet Cleaning Questions? 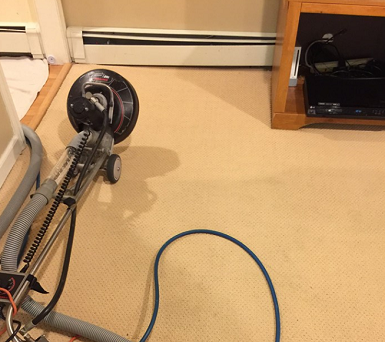 Have questions about getting your carpet cleaned in Stamford CT? Our FAQ is designed to answer every question about your rug, floor, carpeting and how we'll get it cleaner than ever! Our FAQ page is dedicated to giving you the answers to your more frequently asked questions. While moving around this page feel free to click the links to get more information. Our Carpet Cleaning Service has been in the business for 20 years, and we recently moved into the Stamford area. Our business is family owned & operated. Carpet Cleaning Stamford is dedicated to giving you the top quality cleaning service you deserve with a price you can afford. We keep our prices very competitive even though we've invest in the Rotovac 360i. The Rotovac 360i allows us to get industrial strength cleaning power without being hooked up to a truck. This equipment allows us to perform deep cleaning at the top of Stamford's tallest high rises. Learn about all of our Stamford Carpet Cleaning Services or give us a call today for your free cleaning quote at (203) 635-6135. Where is your Carpet Cleaning Service Available? Our Carpet Cleaning service started originally in Fairfield, CT. We've grown into the nearby areas of Fairfield such as Bridgeport & Milford. Recently we've grown our Carpet & Upholstery cleaning services to Danbury, Stamford, Ridgefield and the rest of Fairfield County. Carpet Shampooing is absolutely available. Due to the recently technology updates with equipment like the Rotovac 360i carpet shampooing is no longer a specific service. In fact all of our Carpet Cleaning services include "carpet shampooing". Read more about exactly what carpet shampooing is by clicking this link. Do you do Spot Cleaning? Absolutely - we do spot cleaning like its our job! Spot cleaning & stain removal are two of our most popular services in Stamford besides carpet cleaning. Our Stamford residents rave about our cleaning services. Our spot cleaning service is so popular because most people try to do it themselves by buying some name brand solution from home depot. They quickly notice that it barely removes the stain, and they need a professional carpet cleaner. We'll save you the time by cleaning your carpet and removing any stains today. Do you offer Organic Carpet Cleaning? We absolutely offer Organic Carpet Cleaning Services in the Stamford area. We've actually been keeping our cleaning solutions eco-friendly before there was so much interest in it. Where is Carpet Cleaning Available in Stamford? Our Carpet Cleaning Services are available throughout Stamford from the downtown high rises to outside the city. We'll leave you satisfied with your new clean carpets. Behind that satisfaction will be the assurance that they were cleaned with the environment in mind. We offer organic carpet cleaning services, and stand behind our eco-friendly guarantee. We got our start in the Fairfield & Bridgeport area, and moved in to Stamford shortly after. Read more about the beginnings of Carpet Cleaning Stamford by reading about our Carpet Cleaning Business in Stamford.